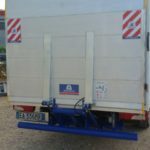 The vertical tail lift with 3 cylinders for the loading and unloading of goods on trucks and vans is one of the articles most produced and sold by Altimani. 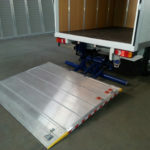 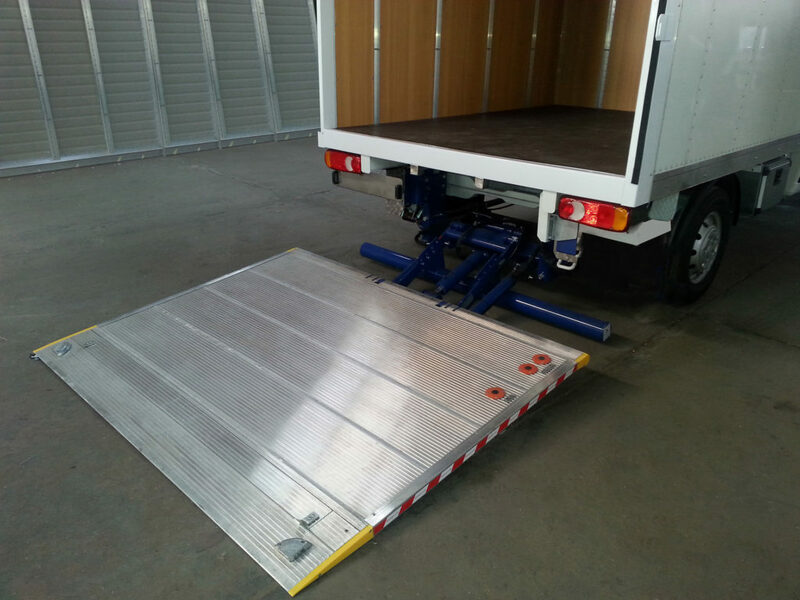 This exceptional tail lift will simplify the lifting of the products from the ground up to your vehicle, ensuring convenience in the various operations. 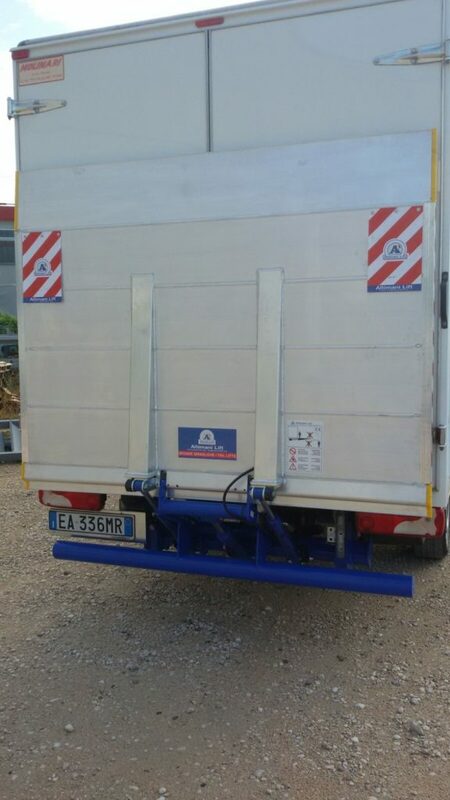 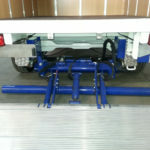 The tail lifts with 3 cylinders differ for the relevant technical characteristics, indicated for installation on light commercial vehicles. 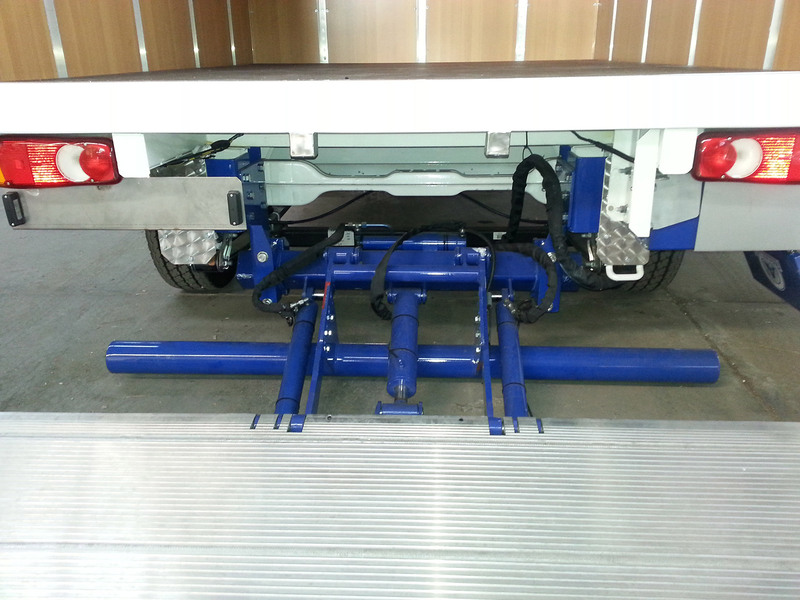 Blinking lights and platform flags mounted onto the platform Centre of Gravity mm600.